fool your friends via sms. you can send free sms from friend's Mobile to any Number. ! So basically spoofing is a technique,trick or hack what ever you say. 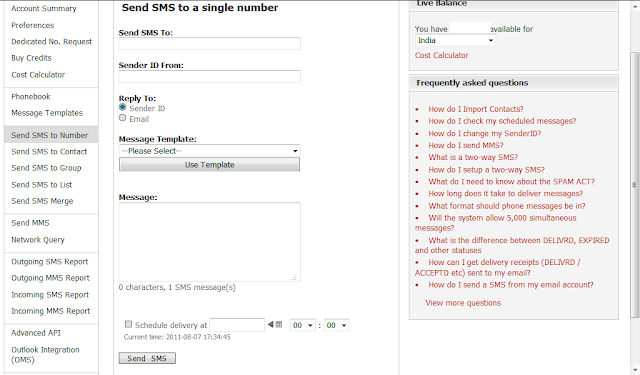 .. to send anonymous SMS to any mobile number.by using this trick we can use any mobile number to send this Kind of SMS. benefits of SMS Spoofing is it's free, faster,world wide ,full anonymous ,and No Advertisement . to Register on this site just Click here it's easy..you will receive the password via sms on your Phone. now just login with your password. you will get 25 free credits(SMS) . 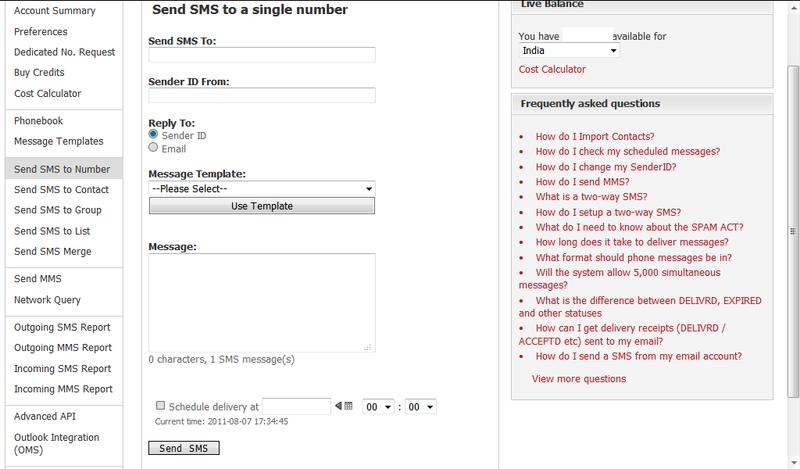 Now look at the left side and Click on send sms to number tab. then you will see this kind of page.so just enter your friend's number or whatever you like with the Country Code.type first the Destination number .and in Sender ID from box. type what ever you like . you can type your friend's Mobile number too !. Try it on your Own number .. and see the magic .! !